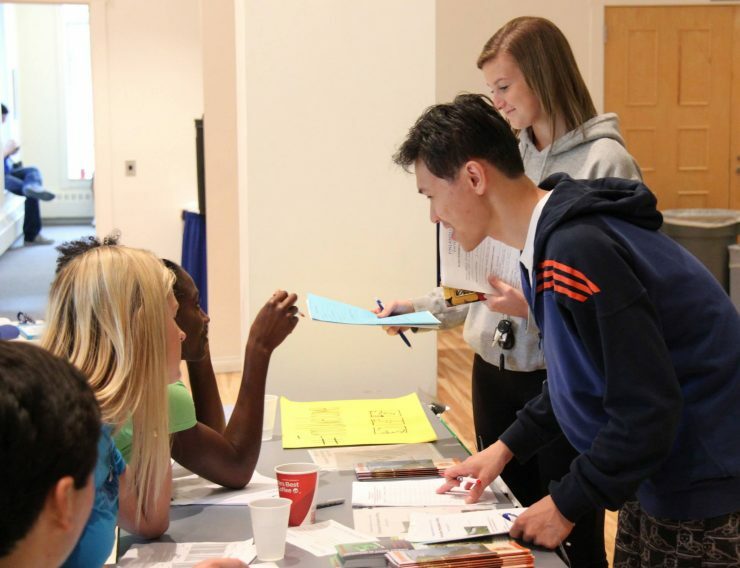 HANCOCK – Finlandia University’s 2014-15 incoming class is 12 percent larger than last year’s incoming class of students. That number includes freshmen and transfer students. ESCANABA – The first Bay College Golf Outing took place 24 years ago and was the first charity golf outing in Delta County. It started because many students cannot afford a college education. In fact, with 72 percent of Bay students qualifying for financial assistance, the need for help through scholarships is great. SAULT STE. 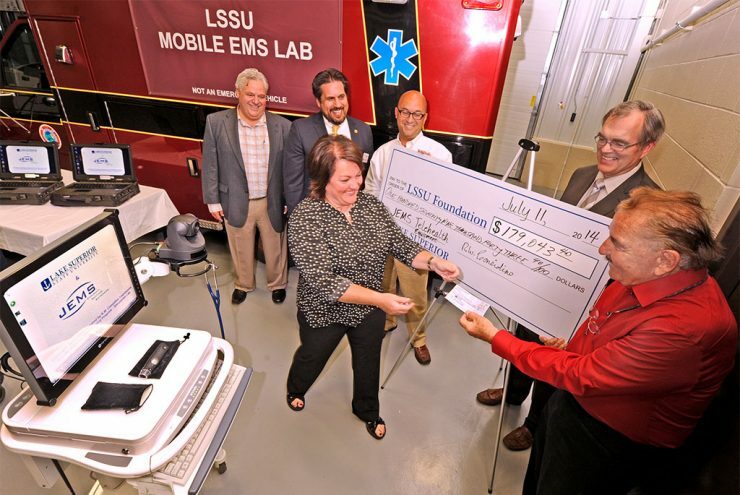 MARIE – Businessman and philanthropist Robert Considine presented a check to Lake Superior State University’s director of simulation in its school of nursing, Jodi Orm, on July 11 that covers the purchase of four remote tele-health stations. MARQUETTE – The Northern Michigan University Board of Trustees today approved a 2014-15 tuition and fees schedule. The annual cost for full-time resident undergraduates will be $9,385, an increase of 3.2 percent from last year’s rate of $9,094. 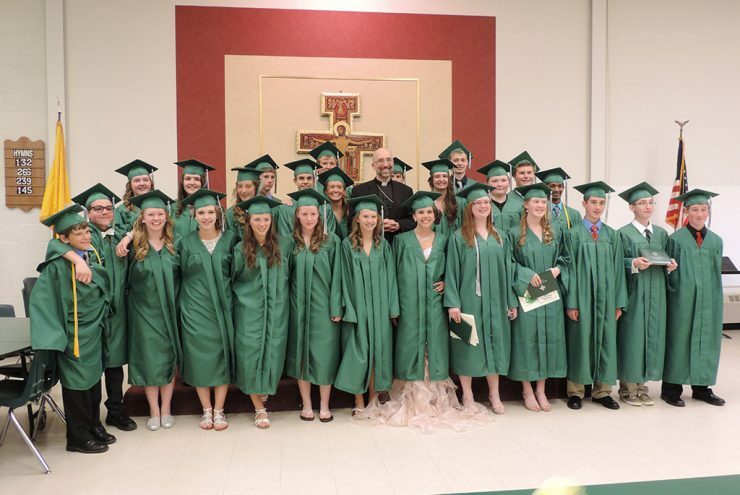 ESCANABA — Holy Name Catholic School held its graduation ceremony on Tuesday night for the eighth grade class of 2014. The class of 26 graduates included two valedictorians with perfect 4.0 GPAs and one salutatorian. 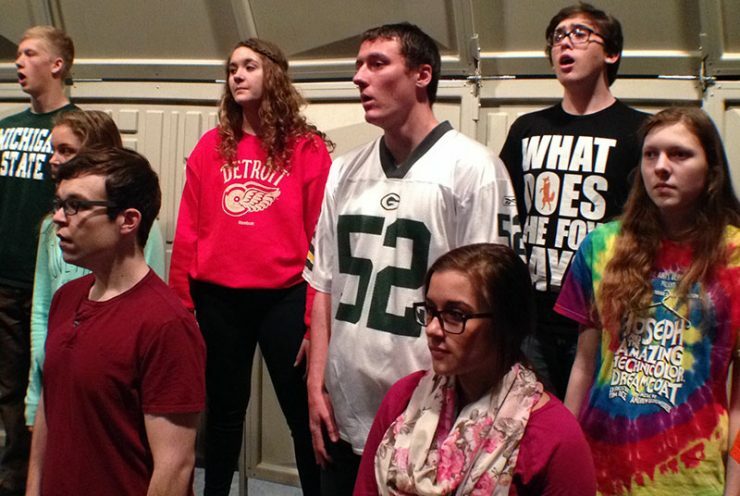 ESCANABA — What began as an imaginative rehearsal tool has turned into a unique experience for Escanaba High School’s Chorale, a select choir under the direction of John D. Beck. Last year, the choir was performing “My Friend Elijah,” a composition by Illinois composer Paul Carey. 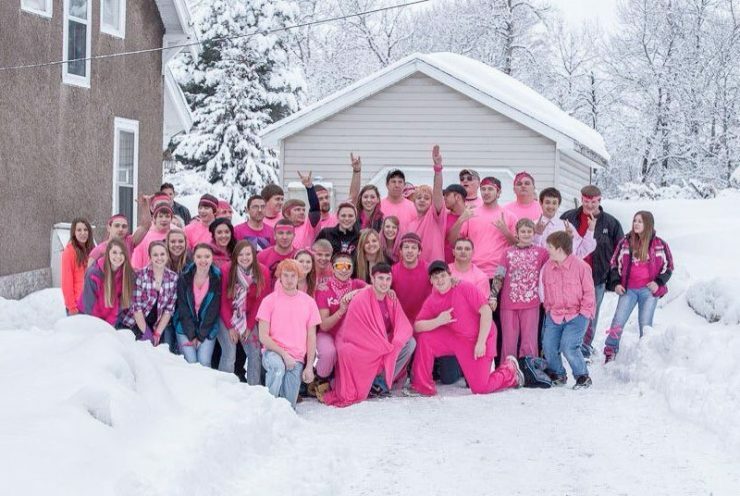 IRON RIVER – The West Iron County School District and the student who was not allowed to participate in a track meet because of a pink Mohawk have reached a resolution. The school district says Mike Barker will continue to be a member of the track team. IRON RIVER – A student at West Iron County in Iron River was told he could not participate in sports unless he cut off his pink Mohawk. Junior Mike Barker donned the hairdo in support of his mother battling breast cancer. After four requests to cut his hair, Barker said he was told he could not attend the school’s track meet. ESCANABA – An eighth grade student from Holy Name Catholic School in Escanaba is headed to Washington D.C. to participate in the Scripps National Spelling Bee. 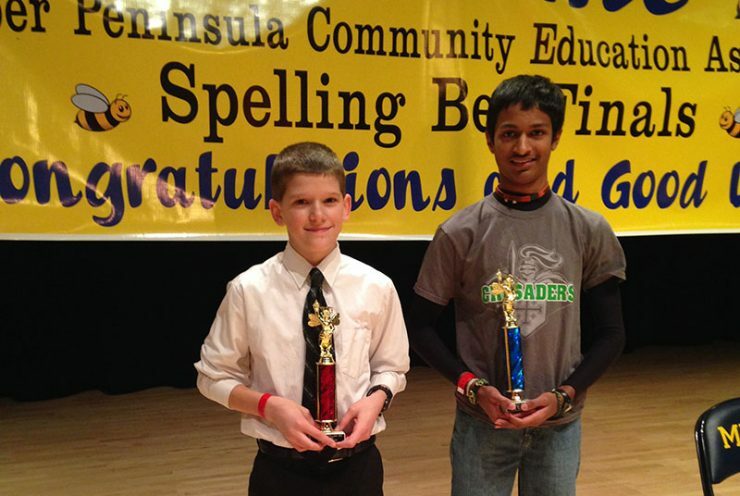 Rushil Kasetty, 14, won the Upper Peninsula Community Education Association Spelling Bee last week in Negaunee. 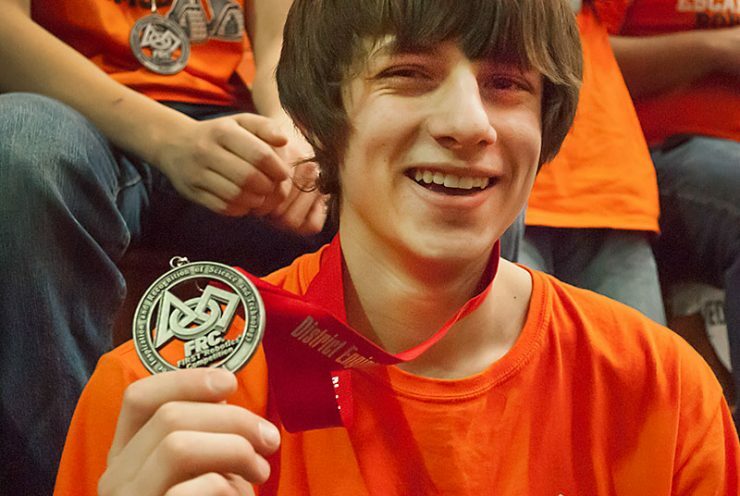 ESCANABA – Students from about 35 schools in the Upper Peninsula and Lower Peninsula competed in the FIRST Robotics District Competition in Escanaba.